Hi Everyone! 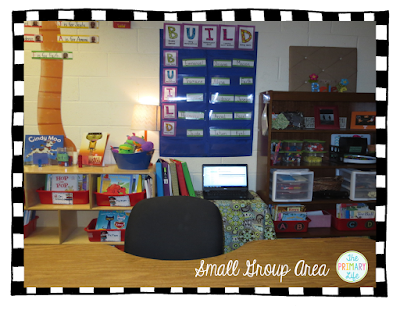 I'm Jonna from the Primary Life and I'm super excited to share my favorite areas of my kindergarten class! 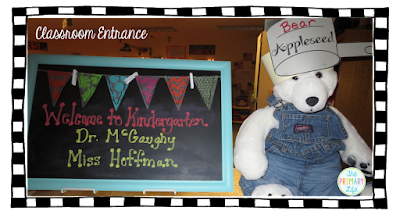 This is the entrance to my kindergarten classroom. Our mascot bear is usually dressed up to reflect our current theme or season. I absolutely love love my chalkboard that I received last year from one of my students. 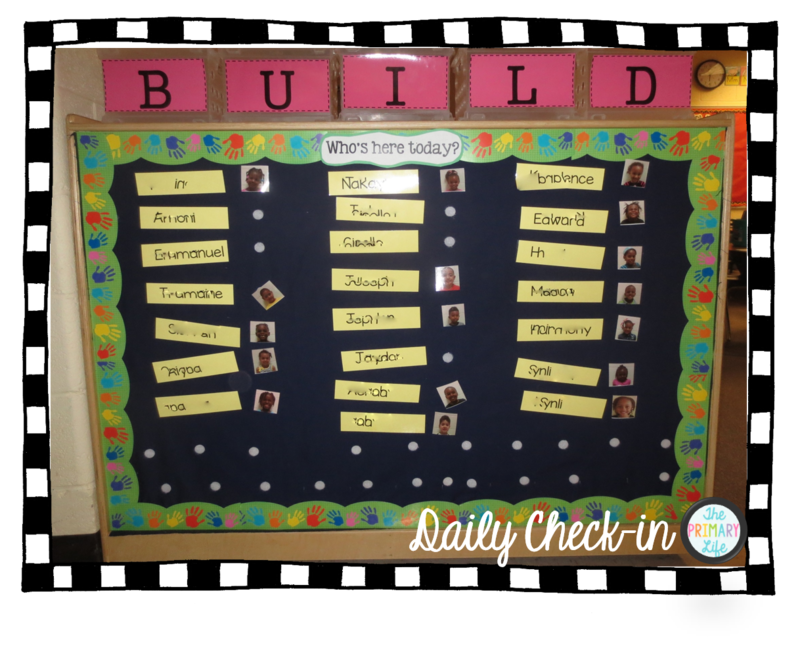 When my students come in the morning, they will find their picture and match it to their name. This really helps my little ones who are struggling with name recognition. 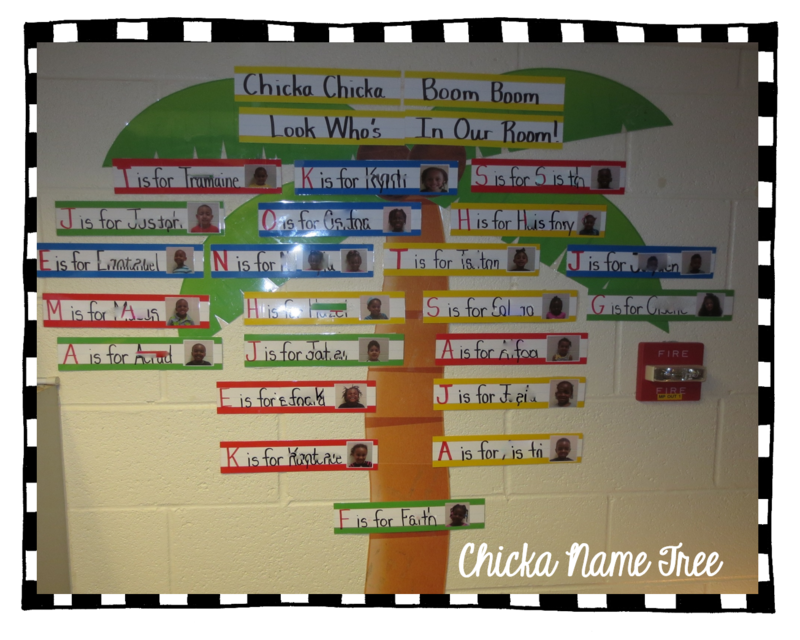 When we return from Fall Break, I will replace their first names with their last names, then birthdays, addresses, etc. This is a great way to differentiate as well. My bookcase houses a lot of my materials for Guided Reading. 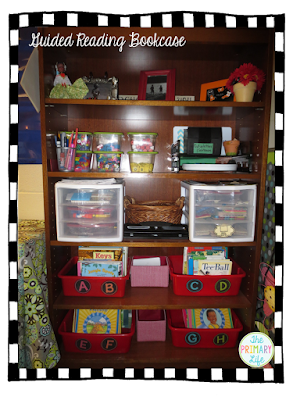 At the bottom, I have all of my leveled books. On the shelves above, I store my letter tiles, letter magnets and white boards. My easel is the place where I store a lot of my charts and posters. Our September song is on there now and we are using it for shared writing activities. 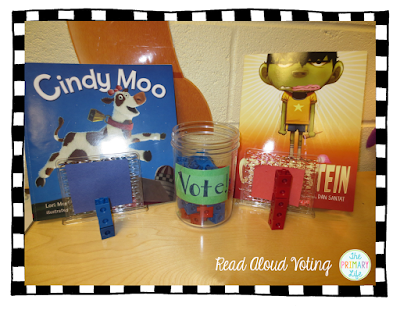 I replaced some of the sight words with sticky notes and we try our best to spell them together. 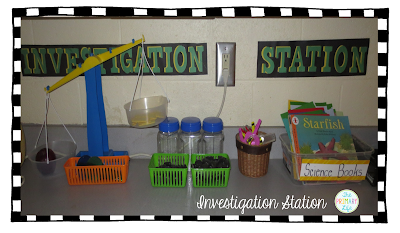 Our Investigation Station area allows our students to use scientific tools with any of the content areas. We have scales, magnifying glasses, tweezers, scoops and science related books. I am very fortunate to be a 1:1 iPad classroom! 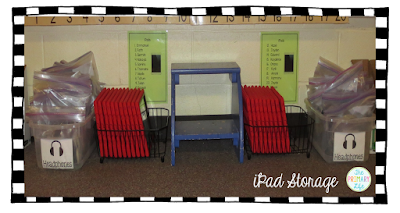 Last year, it was very difficult to keep moving our iPads from our tables to the cart. 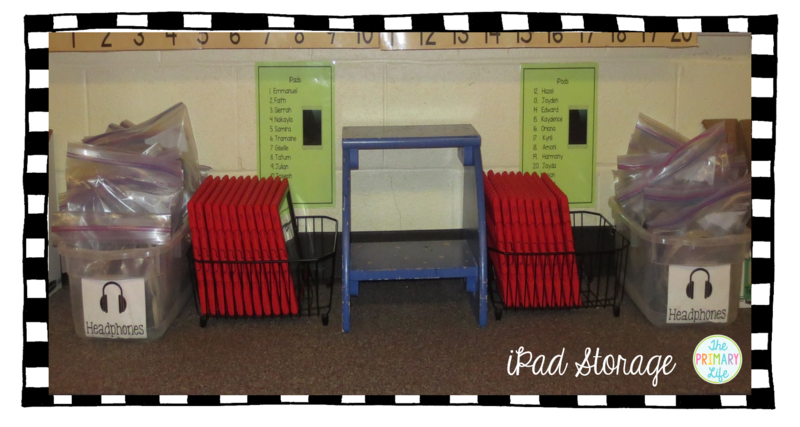 So, I looked on Pinterest and found a teacher that used a dish rack to store her iPads. This allows my students to get them whenever they need them. Each iPad has a number and I have a list posted in case they forget. I found that the easiest way to store headphones was to use the Ziploc baggies labeled with their names. The Looking Closely Center is my attempt at a Reggio-inspired provocation. 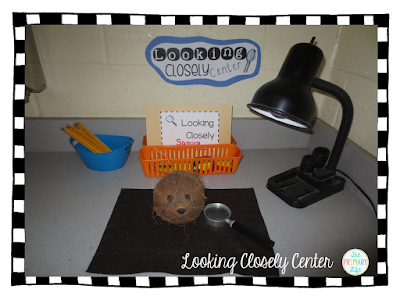 Students can look at the object "closely" using the magnifying glass and record their observations/pictures in their "Looking Closely" journal. Sight Word Poetry journals are a favorite among parents and students every year. 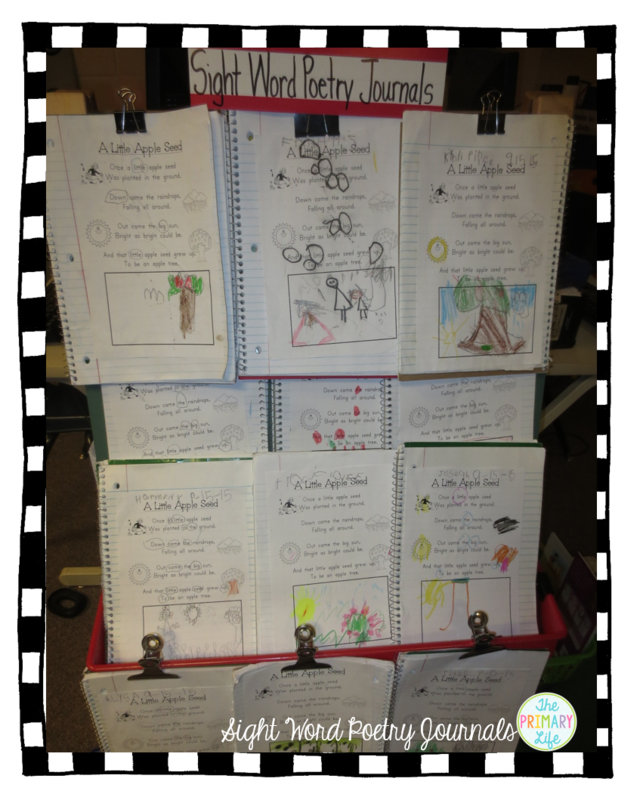 Each Tuesday, my students and I read a season/theme related poem together. 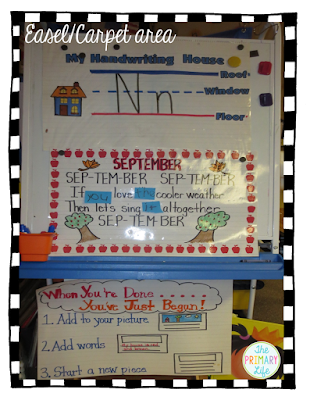 That night they take it home and read it, illustrate it and circle their sight words. This is where we display them after students return them on Wednesday. I saw this idea on Pinterest. 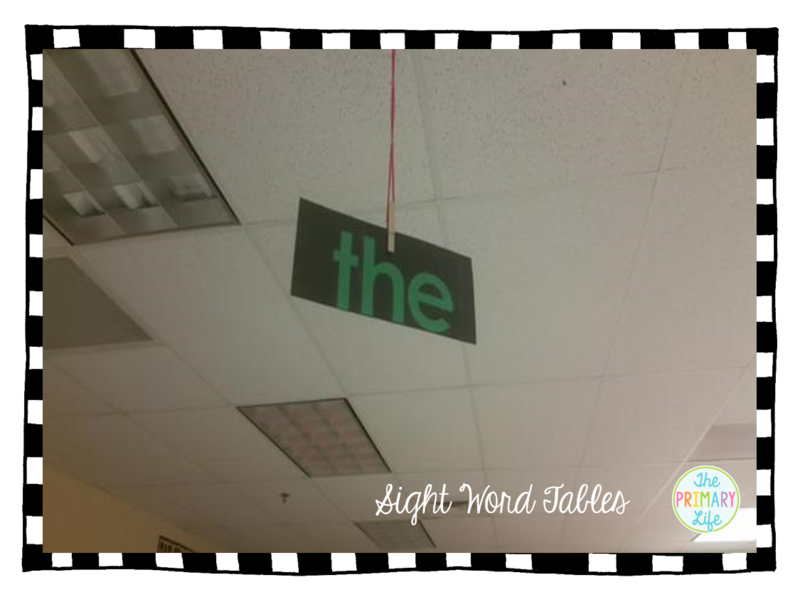 Each one of our tables has a sight word instead of a number. This is my small group meeting area. 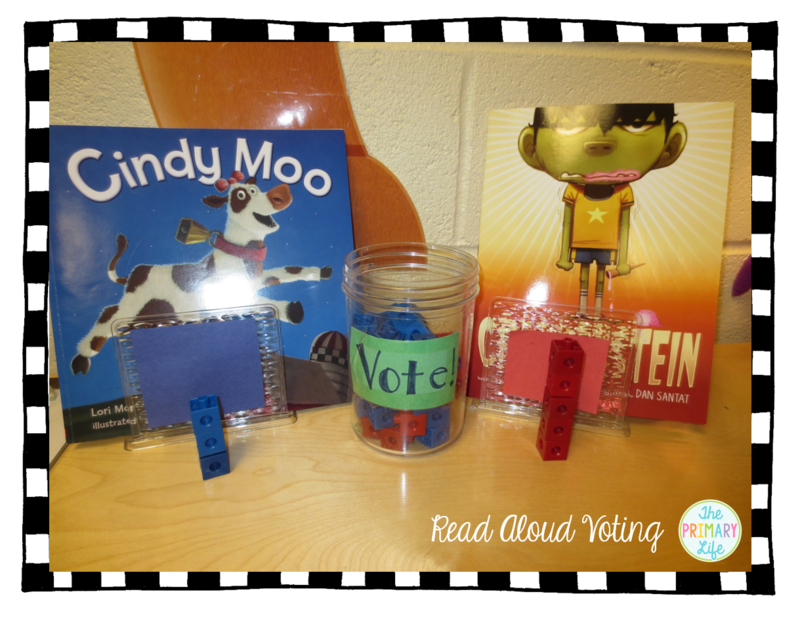 In the mornings, my students get to vote for the first read aloud of the day. They love this! Thank you for "Peeking" into my classroom! Mark your calendars to check out other awesome classrooms.